• Easy to use and storage. Have it handy at all times. If you are not 100% satisfied for any reason, we will replace the Record Cleaning Cloth for free or refund the full purchase price, No hassles and No questions asked! 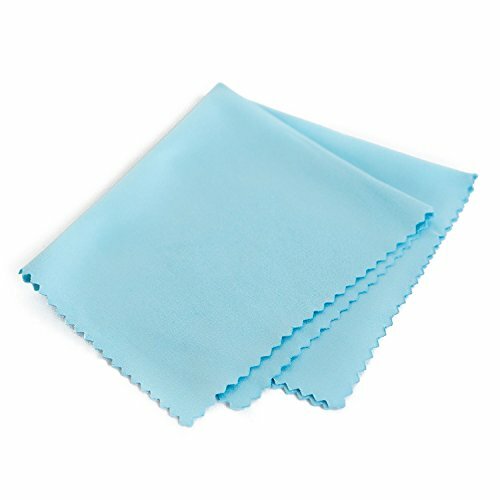 ENJOY YOUR MUSIC AT ITS BEST; gentle and effective record cleaning microfiber cloth from Record-Happy is essential for an effective Record maintenance routine. Size: 12" x 12"
GREAT DJ ACCESORY gets deep into record grooves to remove fine particles! Highly Effective Record Cleaner is a must for any Professional or Music Enthusiast. It also makes a great gift for any serious audiophile!